Do I Need an SSL Certificate for My Website, Blog, or eCommerce Store? When trying to start their own eCommerce business, you will inevitably consider which features you will need for your website. Given that you are almost certainly on a budget, you will likely separate these tools between which ones you need and which ones you do not need but might like to have. The idea here is that you keep what you know you will need, get anything else you can, and save anything else you might like for later. However, before making any firm decisions, you must know what exactly each feature does for your website and your customers. That may not always be clear, and you may even end up asking yourself questions such as, “Do I need an ecommerce SSL certificate?” The answer to that is a definite yes. 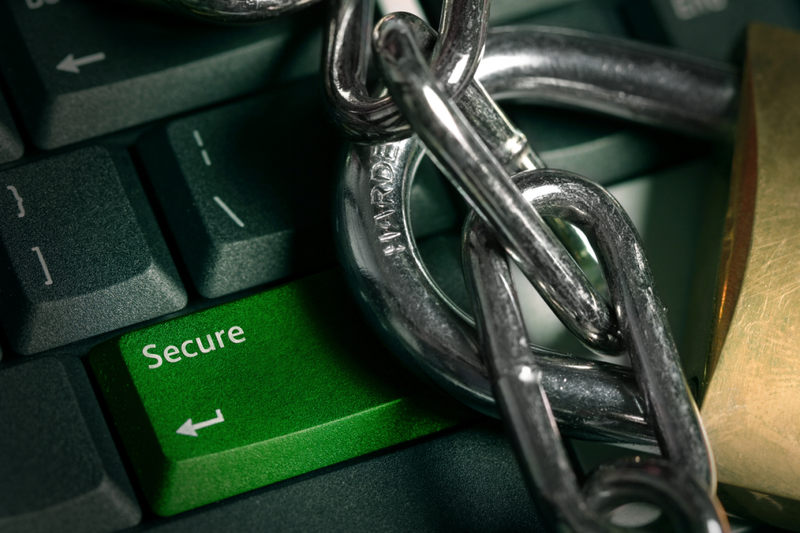 Here is some information on why you need SSL for your website, blog, or eCommerce store. “SSL” is short for “Secure Socket Layer,” and the purpose of these data files is to create secure connections between a browser and a web server. This allows your customers to send sensitive data to your website, all without having to worry about any unwanted third parties seeing that data. Only certain companies, called Certificate Authorities (CAs), can issue legitimate SSL certificates. When they do so, the files bind the name of your server or domain with the name and location of your company. The way these certificates work is that they use two cryptographic keys for encryption and decryption. For example, you may have a customer who wants to make a purchase on your website, and they must give you their credit card information to complete the order. Once their browser recognizes and accepts your SSL certificate, that data gets encrypted by a public cryptographic key during transmission. It then gets decrypted by a private key as soon as it reaches the server, allowing your website to process the payment without exposing it to any unauthorized persons. When people surf the internet, they always know — at least in the back of their minds — that there are sharks in the water, and they may be swimming nearby. Hackers, identity thieves, and other predators like to lurk in places where people expose personal information, so they can steal and exploit that data. Internet users can be especially vulnerable on eCommerce websites because they must share credit card information in order to complete a purchase. By encrypting that sensitive data while it gets transmitted, SSL certificates enable online businesses to protect their customers from these criminals. eCommerce companies can also protect themselves and keep their private information private. While this is by no means the only form of security you can get for your website, it is a very basic one that you should get. Your customers will thank you. People do not just visit any website, let alone patronize it with their money. If anything indicates that their connection with your own website may not be secure — and Google Chrome browsers do label unsecure websites as such — many potential customers will bounce before anything can happen to them. This can result in devastating bounce rates, especially if a site’s checkout process requires customers to provide sensitive information for payment or lead capture. SSL certificates remove that issue from your site, as well as the resulting stigma. When people see that your website is secure, they will be more likely to stay and provide the personal information you request. Moreover, they will trust you enough to finish the checkout process. Caring about website security as much as your customers do is an easy way to bring down bounce rates and bump up conversions. You want your website to rank as high as possible on search results pages. You get far more eyeballs on the second page than the third, and even more on the first. To improve your standing, you need to adjust your website as needed based on the standards set by search engines like Google. One quality that Google’s algorithm tends to reward is website security, and having an SSL certificate is a simple way to demonstrate that your site has that. No search engine wants to direct people to unsafe websites — besides being just plain unethical, it would also damage their own reputation for keeping their users safe. If your website’s SEO quality is exactly the same as a competitor, but they have an SSL certificate and you don’t, then Google and other search engines may put you well below them. Most if not all internet users are aware that certain parts of the web are teeming with viruses, hackers, and other hazards that could rob them of their most personal data. Still, many people like to do their shopping online, so they try to tread cautiously — especially for eCommerce websites that do not belong to large corporations and trustworthy brands like Amazon, Walmart, and Target. Getting an SSL certificate shows not only that your customers’ data is secure, but also that your business made customer data security a priority. Instead of wondering how protected your site might or might not be, they can simply see the “HTTPS” and lock symbol next to your domain name — and a security seal, if you really want to make it visible — and be confident. If you do not get an SSL certificate, potential customers may turn you down and go elsewhere. You may run a perfectly legitimate business and have exactly the information, products, or services they want. Regardless, when it comes to keeping their identity information protected online, internet users may feel it is better to be safe than sorry. Having an SSL certificate is a great idea for any website, no matter its purpose. With that said, not all of them actually require one to fulfill that purpose. Many websites do not require people to submit credit card numbers, personal email addresses, or any other potentially sensitive information. The only interaction people may have with it is just reading the content — such as with simple blogs. Even commenting, if enabled, may not require readers to send any private details about themselves. Of course, if your website does seek to capture any sensitive data about its visitors, then you definitely need to provide a secure connection to your visitors’ computers. Having an SSL certificate is a basic way to both establish that connection and demonstrate that you will keep your customers’ information secure. No one will volunteer that information if they believe that your website is insufficiently private. This is especially important if you need certain information for processing payments, which leads us to the next section. If you run an eCommerce business, your online store absolutely must be secure — no exceptions. Due to the nature of online shopping, your customers can only pay for your products by sending you information about their credit cards or bank accounts. Naturally, this data is extremely personal, and you must make sure that they can trust you with that data. If you do not get an SSL certificate for your eCommerce site, you risk exposing your visitors’ most private information to people who will steal it if they can. These fiends can wreak havoc on the lives of innocent people whose only mistake was trusting an unsecure website. This may sound dramatic, but it is not hyperbolic. All this has happened before, and it does not have to happen again. Instead of asking, “Do I need SSL?” you may now be asking, “Where can I get a certificate?” There are many different places where you can get one. Here are some of the more popular options. As of this writing, Comodo is transitioning into a rebranding as Sectigo. No matter what name they go by, they remain the world’s largest commercial CA. They have issued more than 100 million certificates in the past few decades, and hundreds of thousands of businesses around the world trust in their security solutions. GeoTrust prides itself on providing businesses with strong, safe connections at a low cost. This may be why the company is one of the largest CAs in the world. It should be noted that GeoTrust is currently owned by Digicert. When you get a certificate from them, you are really getting security from a larger CA responsible for 26 billion secured connections daily. Digicert has also acquired Symantec’s security solutions, and that means they now provide SSL certificates with Norton technology. Norton, of course, is famed throughout the World Wide Web (and the world, for that matter) as a highly trusted supplier of security software. Discerning internet users like seeing that “Norton Secured” seal on websites. While these companies are all fine places to buy an SSL certificate, you may not need to look any further than the ecommerce platform you use to build and operate your eCommerce website. Your platform may already have an SSL certificate that you can connect with your online store. It may also provide options to purchase more advanced ones from their CA partners, which may very well include some of the companies listed above. Most good ecommerce platforms for startups will have SSL either included or available as an add-on. “Do I need an SSL certificate?” is not an uncommon question for business owners who are just getting into eCommerce. However, no matter how budget-conscious you are, the answer is always a yes if you're selling online. It is an extremely basic way to provide your customers with the web security they want. If you choose not to get one, you would jeopardize your customers’ personal data, your business’s private information, your reputation, your conversion rates, and your standing with search engines. Acquiring an SSL certificate is vital.